it’s impossible not to start thinking about travel to places on the globe where we can get some relief. 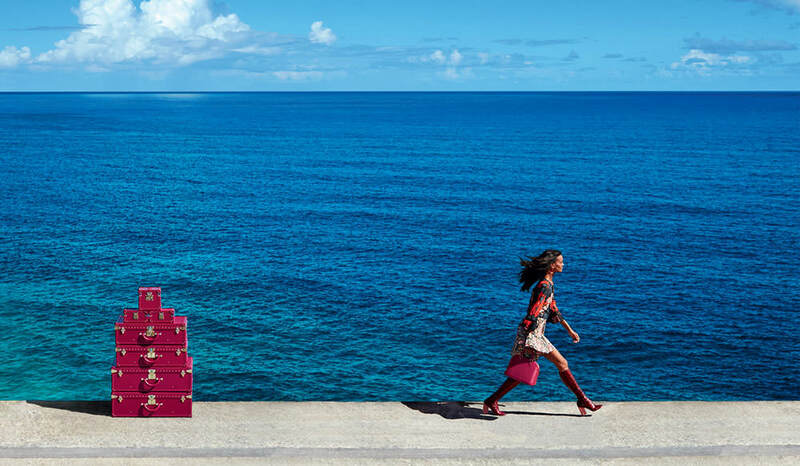 In that sense, the Louis Vuitton The Spirit of Travel Spring 2015 campaign is perfectly timed–who wouldn’t want to look at images of models, beautiful bags in hand, frolicking in front of perfectly turquoise seas in the French West Indes? Models Liya Kebede, Julia Nobis and Maartje Verhoef were photographed by Patrick Demarchelier against the impossibly gorgeous background of St. Barths with the Alma Bag, Twist Bag and dozens of Vuitton’s famed trunks, rendered in bright shades of the brand’s durable Epi leather. We recommend immediate consumption of these images, if only to remind yourself that warmth is indeed possible.